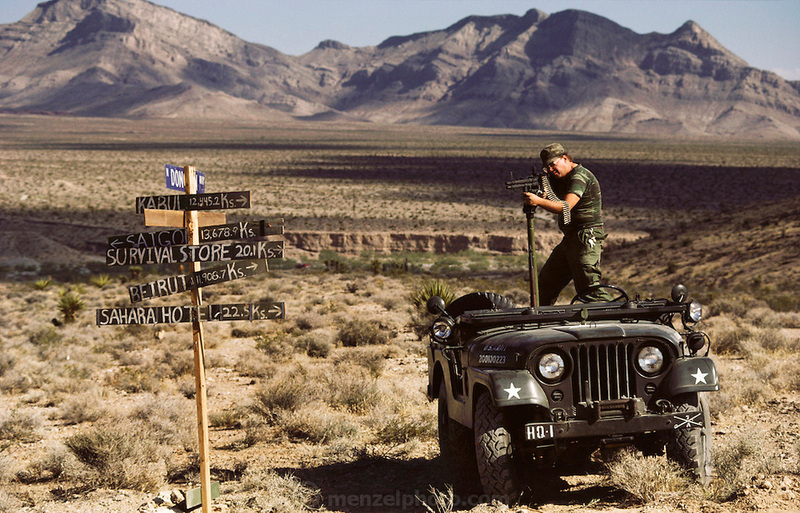 Tom Beck aims a machine gun from his jeep. Attending the Soldier of Fortune Convention, Las Vegas. MODEL RELEASED.